On this cruise, I am working with a team from Rutgers University studying different variables that influence phytoplankton. However, there are five different projects all collaborating on this trip investigating the changes in the ecosystem along the Western Antarctic Peninsula. 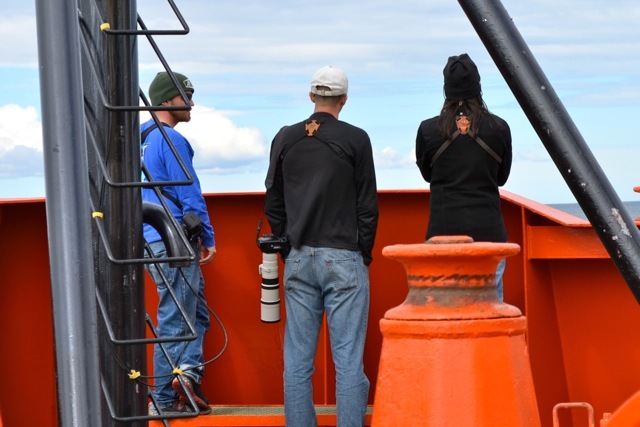 One such group is known on the boat as “the birders”. The “birders” are those folks responsible for surveying sea bird populations around Palmer Station and along our cruise route. And we’re not just talking penguins. 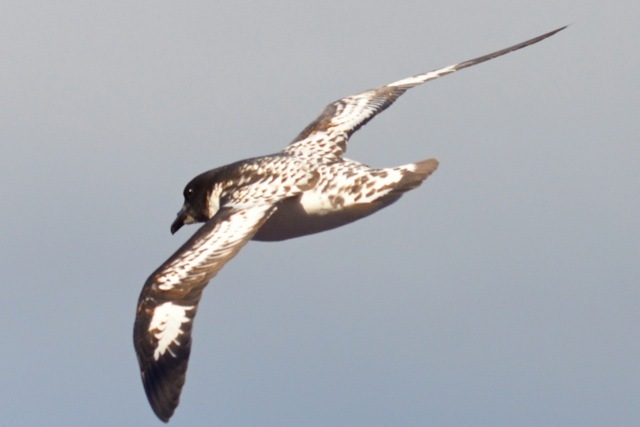 There is a vibrant sea bird population in the sub-Antarctic and Antarctic waters and these are the populations being impacted as ocean temperatures rise in this area. Ocean currents can change, food webs can be altered and it becomes very difficult for these animals to survive in their current habitat. By cataloguing the species here, scientists will be able to identify what kinds of changes are happening, how the birds are reacting and what may be in store for other birds throughout the world. In order to identify birds correctly requires practice…lots of practice! The researchers practiced identifying and mentoring all of us who wanted to learn alongside them. It was amazing to see the birds gracefully swoop by the boat and surf just above the waves and then start to identify them on my own. 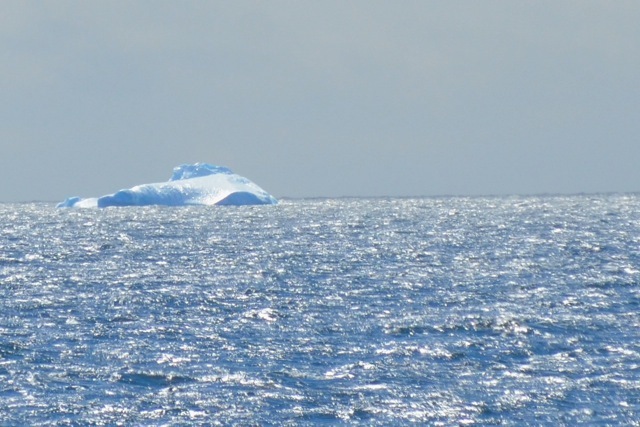 See video from my crossing of the Drake Passage. So, what did we see? While leaving the Straits of Magellan we saw many terns and even some Magellanic penguins swimming in the water nearby. 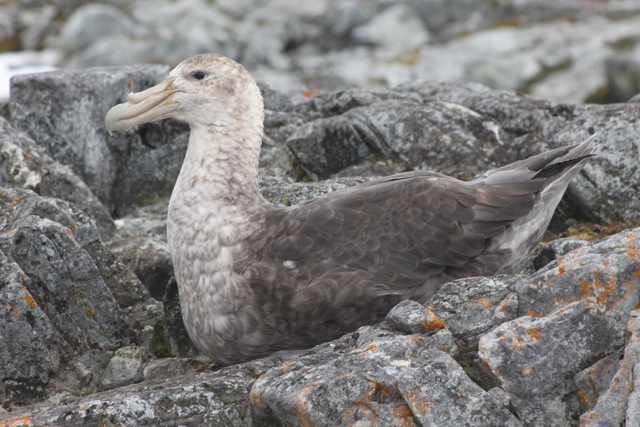 Later, other species began to pop up like Southern Giant Petrels, Cape Petrels, Royal Albatross and Black Brow Albatross were the most frequent visitors. Some of them, particularly the petrels, would fly close to the boat, almost to the point of being able to touch them! 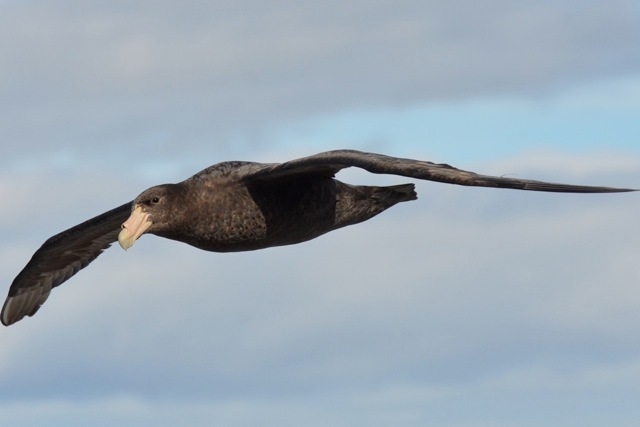 These birds, the albatross in particular, have really large wingspans - it makes it easier to glide with the wind and use less energy as they cruise out long distances from land to find food. It was amazing to see these animals up close. It’s a good reminder that even though we think Antarctica is a continent devoid of life, there are indeed many species that rely on the surrounding waters for their survival. What will happen when the waters rapidly warm up due to climate change? We aren’t quite sure of the long-term impacts, but that’s why we are here. We want to study and learn as much as we can about this fragile environment. YESSS!!! Best post ever!! Take more bird pictures!